The past week and a half has been crazy, busy, stressful and packed full of sweet surprises and blissful reminders. My daughter ate deodorant (Poison Control assured me she’d be just fine), my relatively new, usually perfect car refused to start, my debit card somehow got demagnetized and I accidentally hit on and probably terrified an attractive man. Let me explain that last part. 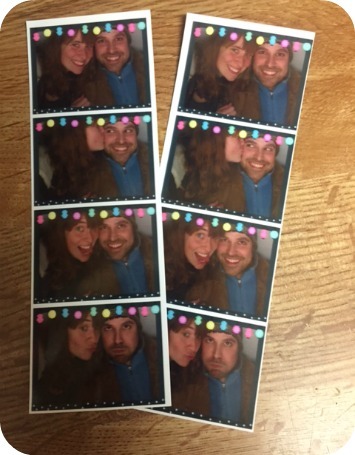 Husband and I were walking out of date night at Punch Bowl Social and had just acquired some new photo-booth photos. 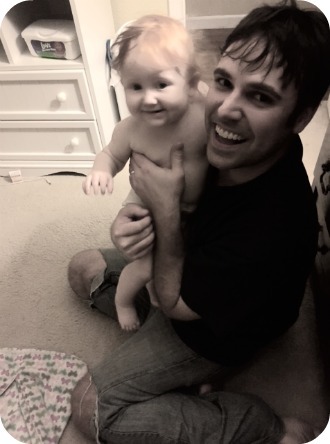 I waved the new photos in front of my husband’s face and said “Lookit how cute we are!” Except it wasn’t my husband. Robby had politely opened the door for some folks and I was waving photos in front of a cute, probably terrified stranger. We both nervously laughed as I mumbled an explanation, and proceeded to quickly find our respective parties. Both myself and my respective actual husband proceeded to laugh at me a lot. Now onto the sweet surprises and blissful reminders. My best dude friend randomly texted one evening last week asking if it was too late for dinner. He lives in San Antonio, but was in town for an interview the next day. I couldn’t help but smile at his typical impromptu plans. 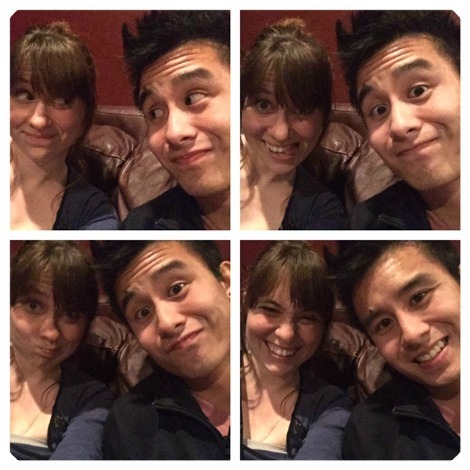 It was wonderful sharing unplanned drinks, stories and laughs with one of my favorite people of nearly nine years. 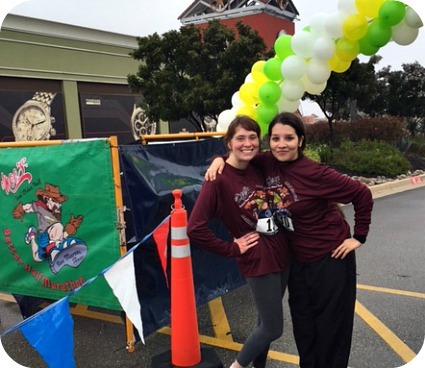 On Saturday, a gal pal and I made a mini road-trip to San Marcos to run Moe’s Better Half Marathon. The weather was cold, wet and windy, but I was giddy to run my third half and join Becca as she popped her half marathon cherry. 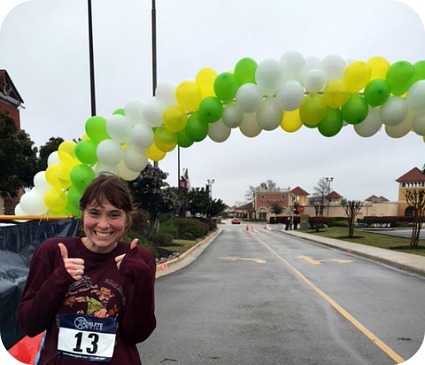 This was also my first half to run with a friend, and despite the fact that we were running in icy rain, I loved most every second of it. Never has 13.1 miles gone by so fast as when I was chatting, giggling and maybe even once peeing in a bush with my lovely friend. 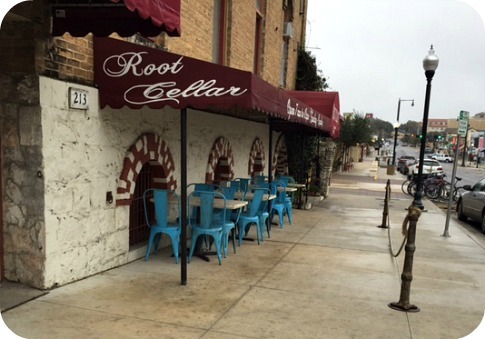 After we crossed the finish line, we rewarded our accomplishment with an incredible brunch at downtown San Marcos’ Root Cellar Cafe. The restaurant was cozy and quaint, the presentation was gorgeous and the meal absolutely scrumptious. 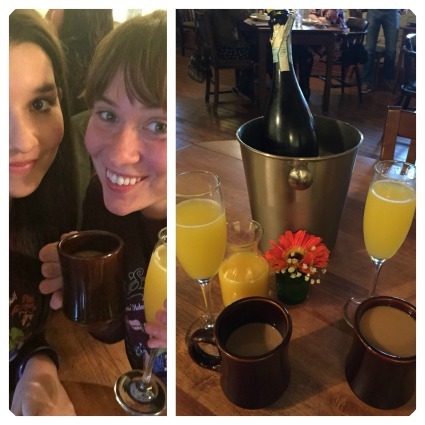 I was double fistin’ with coffee and mimosas. Paradise. It was exactly the brunch destination I envisioned treating myself to after an especially long morning run. It definitely didn’t hurt that the company was also pretty excellent. 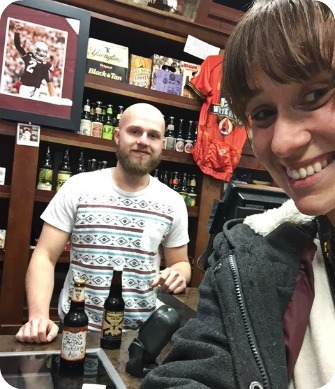 As part of my adventure of the day today, I visited the specialty beer store that is Hamrick’s Market. I was thinking the cashier looked familiar and was trying to place him when he asked, “Did you used to work at Target?” I remembered then. Jacob and his best friend were two of my favorite, most entertaining customers. As he was updating me on his life Mr. Jacob told me that he and his pal were about to become roommates. With amusement in his tone he added, “But it’s not like that.” Apparently I had once assumed him and his pal were lovers. I was tickled that, after five years, he not only remembered me but also my word vomit. Mishaps aside, life has been giving me butterflies lately. I am infatuated with the love, the joys, the opportunities and the exciting possibilities that are filling my days. I think it should be noted that, on the two different occasions that my car wouldn’t start, two people I hadn’t known five minutes prior helped to jump-start my vehicle. A reminder to never underestimate the kindness of strangers. A reminder that there is beauty to even the moments in which things go wrong. A gentle nudge to remember the rest of these perfect moments, in which everything goes so very right. 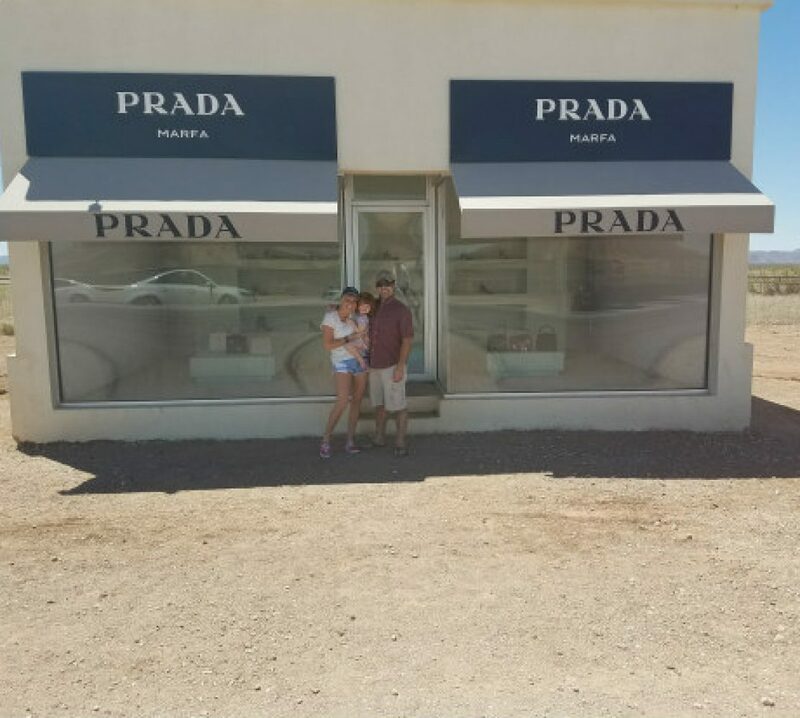 A couple of weekends ago, my husband and I were heading out of town for a race that I had registered to run. Robby’s parents were watching Miss Bryn at our house for the day and I had my jogging shoes ready. We were good to go. Except that when we got there, the race was over. The event coordinators had messed up on the online times, and though I got my money back (and a bunch of other freebies too), I was still a little bit bummed. But that didn’t last long. My husband, always one to make me quickly find a bright side, suggested we drink the free beer we’d been offered and walk down to the nearby river. So we did. And we held hands and laughed and ate free BBQ and shared warm conversation. 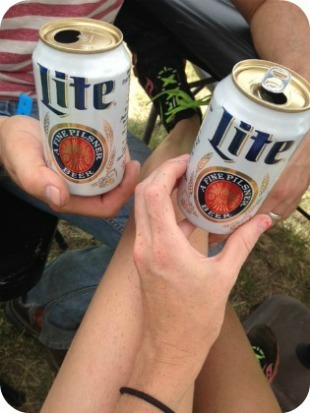 We sat side by side with our Miller Lites, and found bliss in the comfort that comes from simply being next to the other after all of these years. 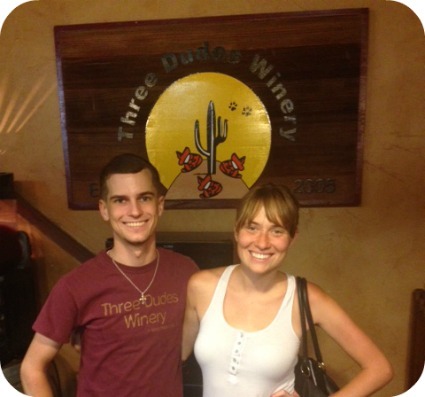 On the way back, we found ourselves a quaint little winery and chit-chatted with their cheerful and animated staff. It was a day of perfect, unexpected adventures spent with the person I feel so very lucky to permanently hang out with. And there isn’t a scheduled plan in the world that I would trade that for.